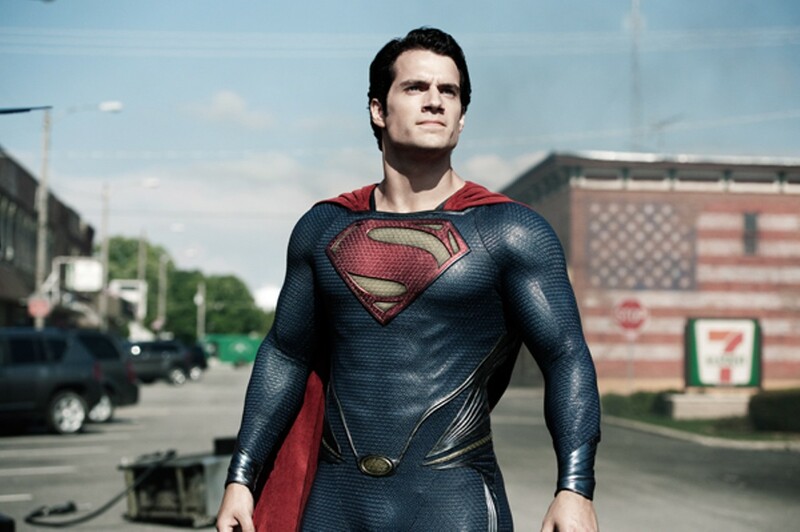 Man of Steel shoots off an entire movie's worth of special effects in its first fifteen minutes. Right away this starts us worrying. Whatever the advisability of yet another movie about the origins of DC Comics' Superman, belaboring the caped crusader's beginnings on the doomed planet Krypton can only detract from the main event. Better to summarize Krypton's predicament in one or two quick scenes and get on with the superlative infant's adventures in Smallville, Kansas. But director Zack Snyder and his screenwriters, David S. Goyer and Christopher Nolan -- adapting Jerry Siegel and Joe Shuster's characters created for the original comics -- seem determined to prove something. Soon after little Kal-El, aka Superman, is born amid a formation of flying tadpoles, his father and mother, Jor-El (Russell Crowe) and Lara Lor-Van (Ayelet Zurer), run afoul of the evil General Zod (Michael Shannon), a megalomaniac bent on combating "degenerative principles." Uh-oh, that's fascist talk. Everything on Krypton is facing destruction, including the underwater baby pods and tiger-faced giant winged insects, so just before he dies Jor-El packs baby Kal-El into an automatic-pilot rocket ship pointed at Earth. We think we've seen the last of Jor-El, but no, he reappears as a sort of hologram. Several times. No one from Krypton ever really dies, they keep coming back as reruns — that's the beauty of it. Ma and Pa Kent (Diane Lane and Kevin Costner) are slow to tumble to the kid's potential, but when they finally do, Ma turns out to be the ideal adoptive parent, while Pa counsels young Clark Kent (English actor Henry Cavill) to keep his identity secret. Clark agrees, reluctantly. He'd rather fight offshore oil rig fires, visit his Fortress of Snozzle-tude deep in a glacier, rescue an intrepid newspaper reporter named Lois Lane (Amy Adams), and shoot the breeze with his deceased birth dad — dig that spooky metallic frieze diorama that explains Kal/Clark's background. The mind begins to wander. 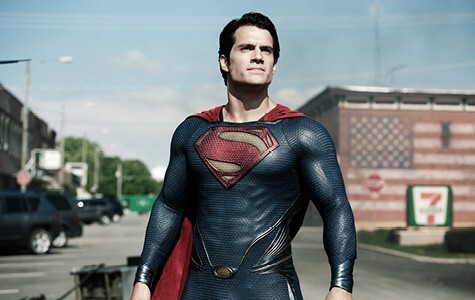 A question arises: Why doesn't Superman ever do anything about global warming? What's he good for, anyway? With his toned-down costume on (the "S" doesn't even stand for Superman, we're told), he looks like a corporate lawyer at a costume party. But no time for that. Soon Zod and his crew come looking for Kal-El and the battle royale begins. Zod wants to take over Earth, cornfields and all. Everything else gets put on hold except for the Magic Kotex, or Cordex, or whatever it is. Cue mega CGI, in shades of gray. There's nothing very astonishing about any of this, despite layers upon layers of effects. The prematurely gray color scheme may indeed indicate the inner anxiety of this unusually dour superhero, but somehow we expect a titanic struggle for the existence of our planet to be, I don't know, more vivid. No individual set piece stands out, with the possible exception of the tornado scene or maybe the ruination of Smallville. Exploding planets in space mean nothing, but when Superman and Zod crash through a Kansas grain elevator or an IHOP, that's scary because it hits closer to home. Eventually the demolition road show visits the city formerly called Metropolis — because no plan of destruction can truly be considered world-class unless it involves messing up New York City. Metal shavings everywhere. The effects were undoubtedly costly but they look cheap. The acting is generally perfunctory, with Cavill's Kal the epitome of perfunctory-ness. Shannon, as usual, is the most fascinating actor onscreen. There are times when director Snyder (300, Watchmen), a veteran herder of robotic heroes, counters the terrific noise of Superman and Zod's slugfest with one or two eerily quiet moments where they just stare at each other while muttering insults. At times like this it makes perfect sense to imagine the same two players as, say, Jesus Christ and Satan in a biblical spectacle. We're already halfway there, with Shannon as a suitably wicked devil, tempting our guy in the desert. Superman's scene getting advice from a priest and his "surrender to mankind" just reinforce the imagery. But Man of Steel is mostly about big booms and fireballs. It's poor mythology that runs too long — 143 of this summer's most tedious minutes — and proves nothing other than the fact that the US military is just as obnoxious as General "Release the World Engine!" Zod, and that Superman is a lonely immigrant. Tell us something we didn't know.